Luxury never goes out of style. 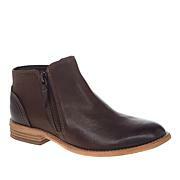 These sleek leather booties slip on with elegance and glamour that lasts from sun-up to sun-down. With a molded Ortholite® footbed and Cushion Soft™ technology, Clarks Verona Trish Bootie is as comfortable as it is beautiful. 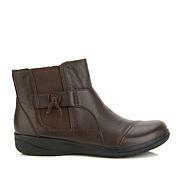 The fit is perfect and so comfortable, Im a size 7 I have a bunion they still fit great I love Clarks good product. Make more of the same style Thankyou. 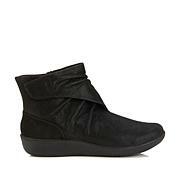 These booties and warm, comfortable and stylish. I purchased the black and I'm coming back for the tan. You cannot deny this quality. 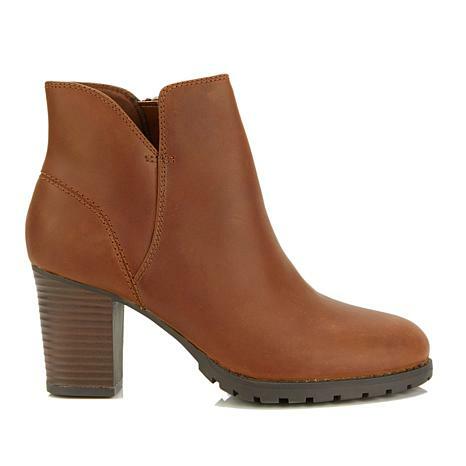 Purchased these boots size 10 in taupe! They are SO cute and comfortable can't wait to wear them with jeans and a cute sweater! I was somewhat concern when with the height; I'm happy to inform you that it was not an issue at all.